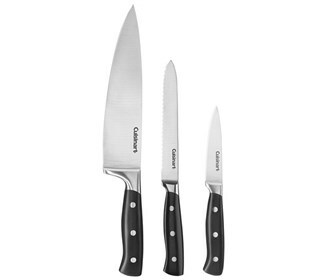 The Cuisinart C77TR-3P is a 2-piece knife set. 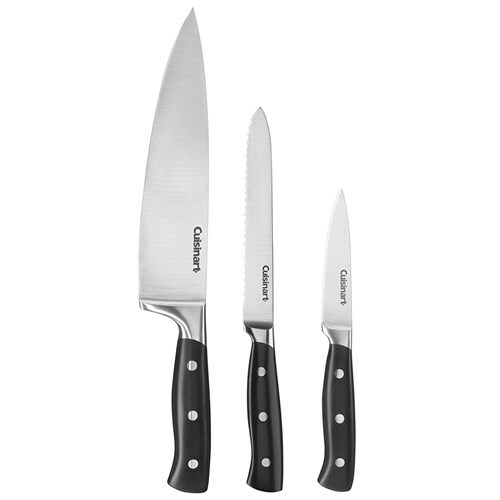 The knife set possesses superior high-carbon stainless steel blades for precision and accuracy. These knives have tapered ground blades, that narrow gradually to an extremely sharp, fine edge. This set is designed with an extra-wide forged safety bolster and stainless steel rivets, securing the blade to the comfortable handle. The Cuisinart C77TR-3P has many exciting features for users of all types. The Cuisinart C77TR-3P is sold as a Brand New Unopened Item.